We have removed the yellow paint on the top to reveal these fantastic teak boards. 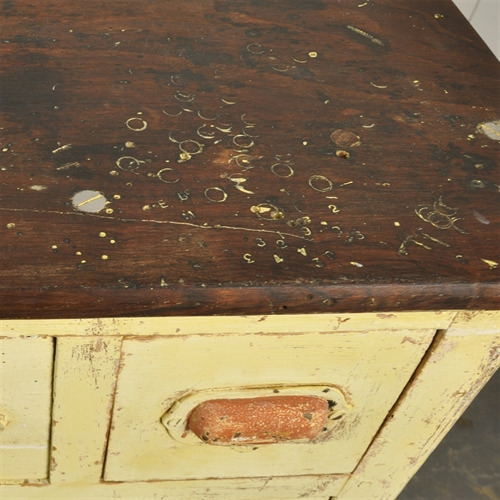 It is very unusual to have this expensive hardwood as the surface. 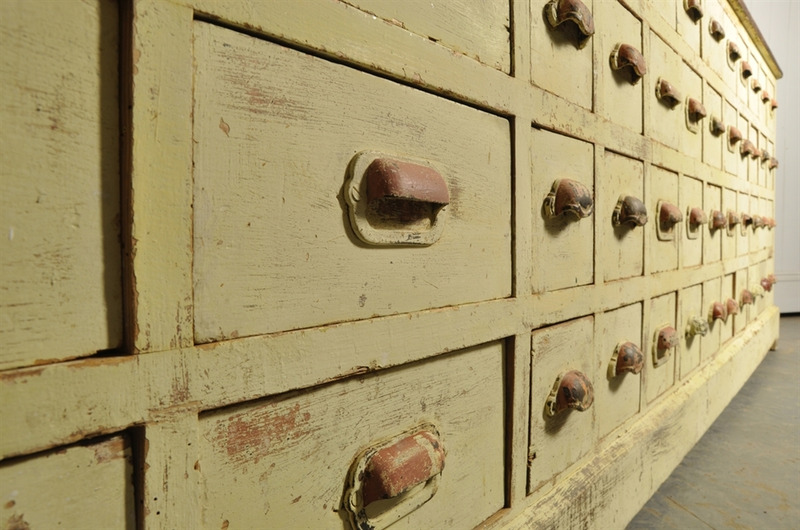 You can see in the pictures where the printers letters and numbers have been stamped into the wood. 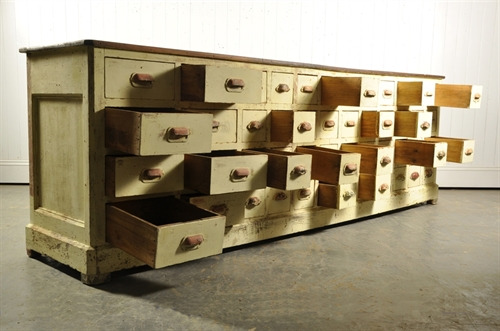 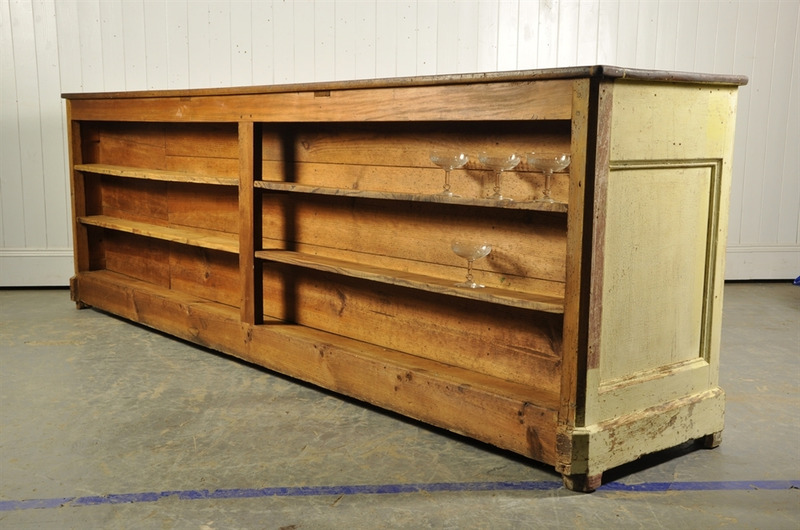 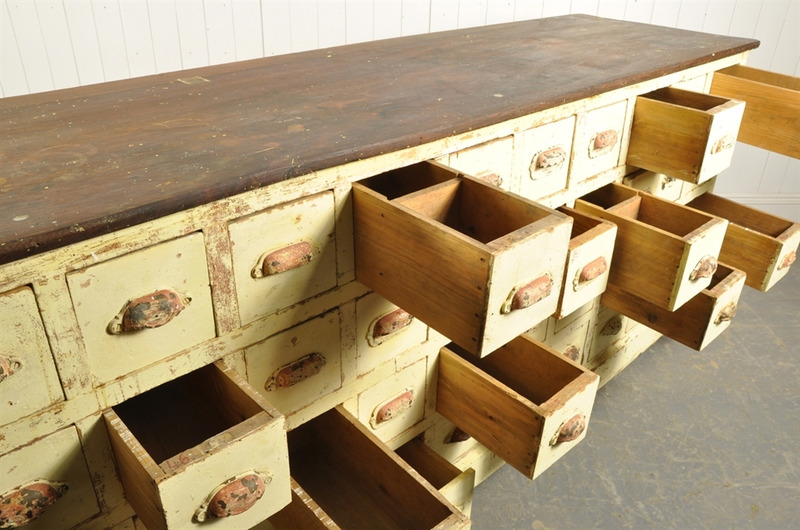 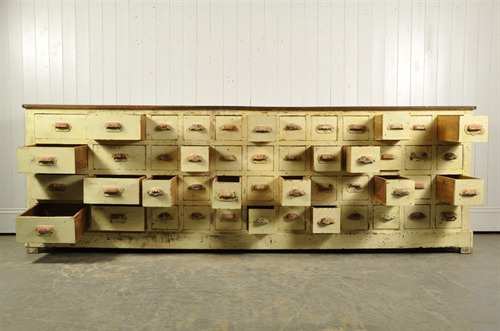 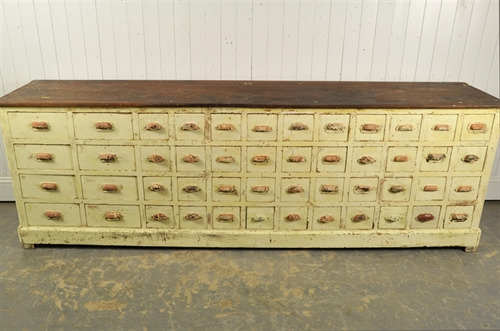 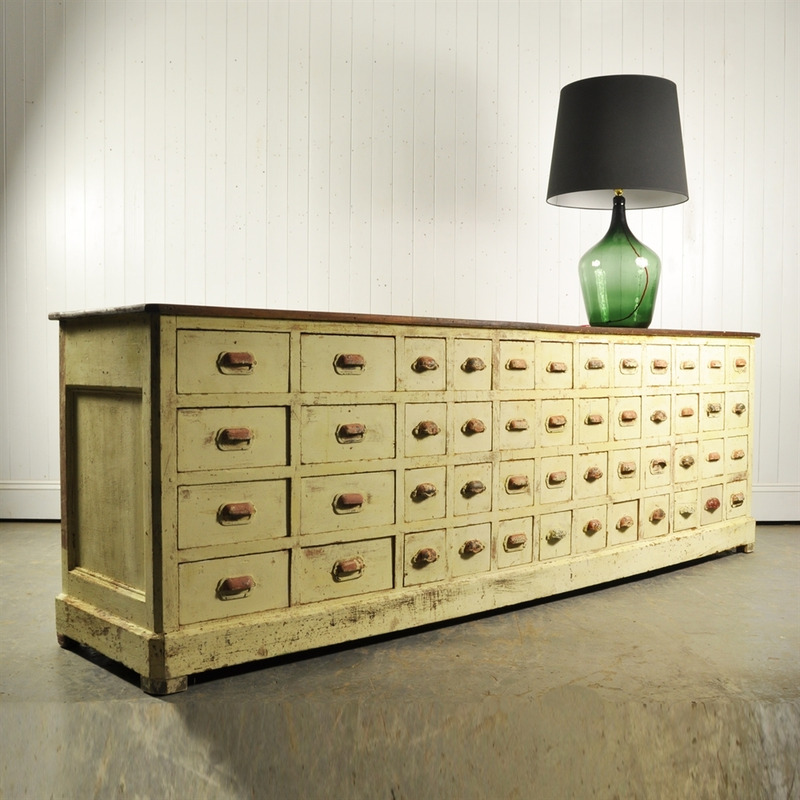 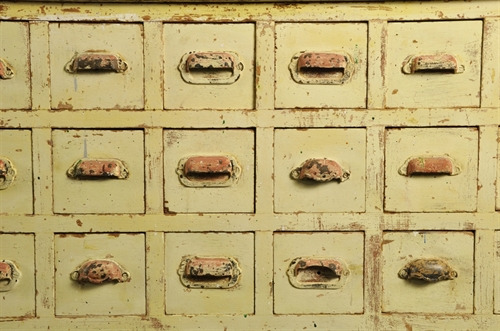 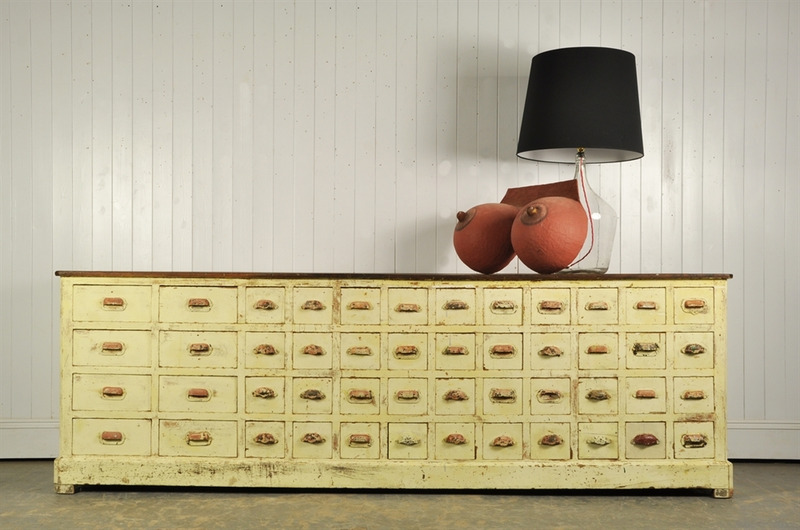 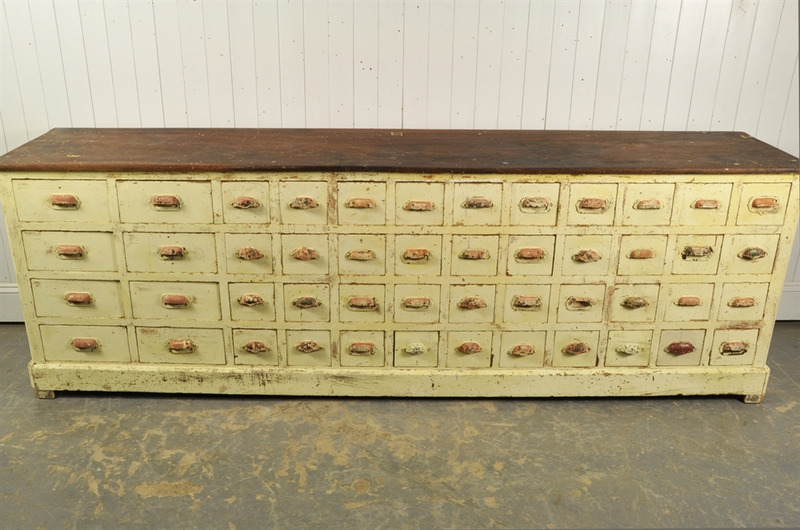 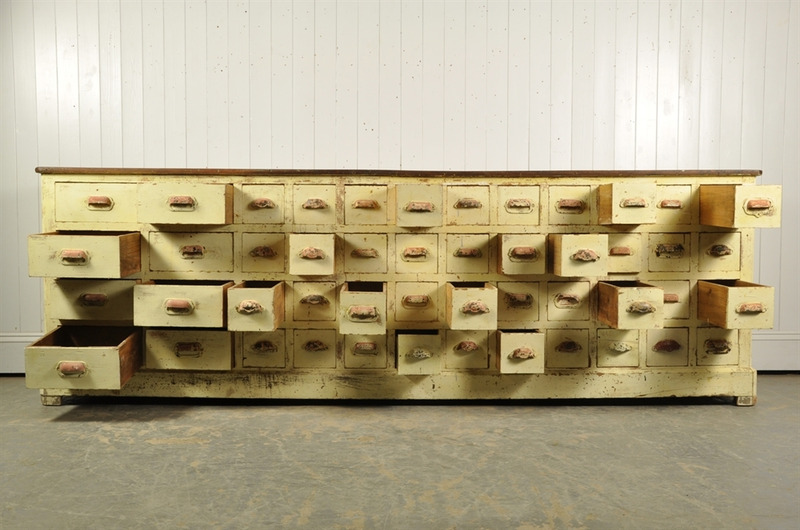 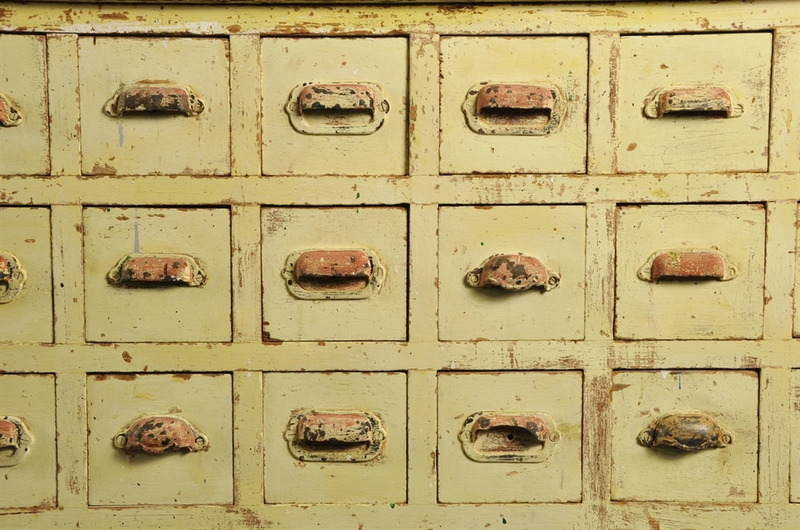 All in all it is very original with wonderfully naturally distressed paint and in good condition being structurally sound and all the drawers running smoothly. Some re treated woodworm along the back.